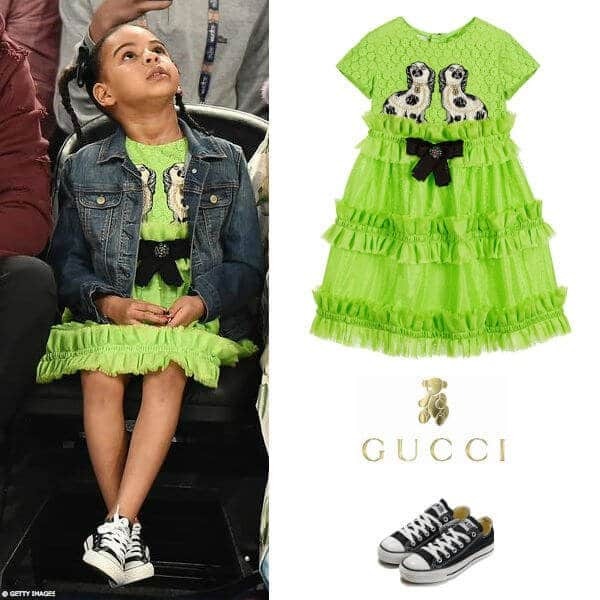 At the NBA All-Star Games that evening Blue Ivy wore the Gucci Girls Green Broderie Anglaise Dress with a streetwear style denim jacket and Black Chuck Taylor All-Star Sneakers. 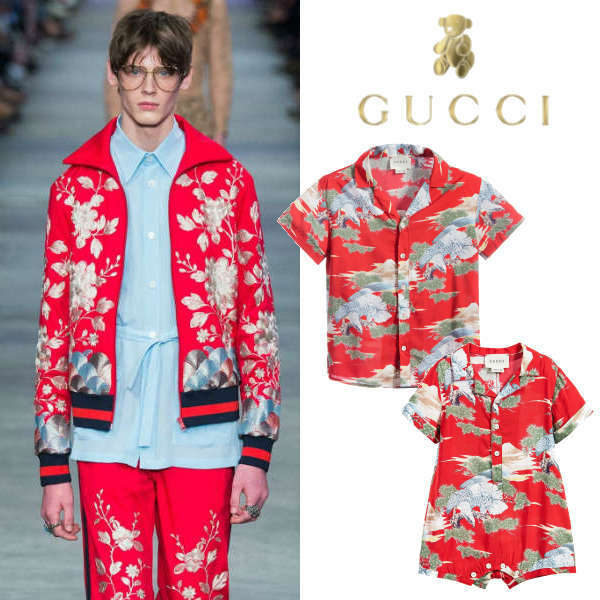 This stunning stand out piece for 2017 features the signature Gucci embroidered spaniel dogs on the dress body that’s made with floral patterned Broidery Anglaise fabric. 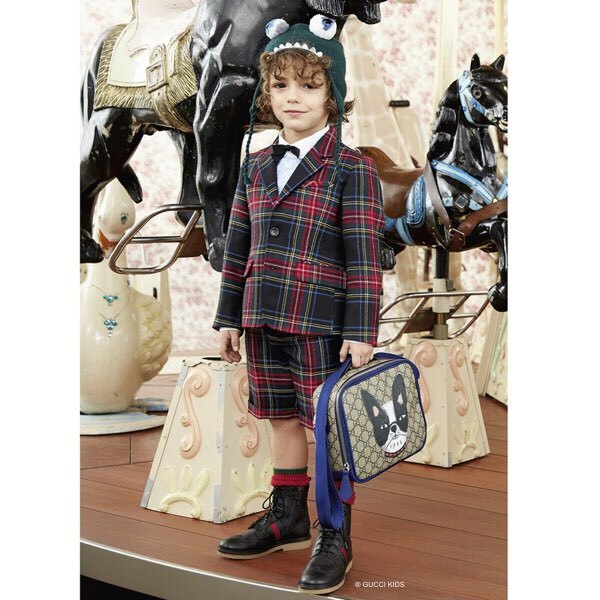 The skirt is made with dotty textured tulle over a silky viscose lining, textured silk ruffles with frayed edges, and a black grosgrain bow decorated with a sparkling gem flower. 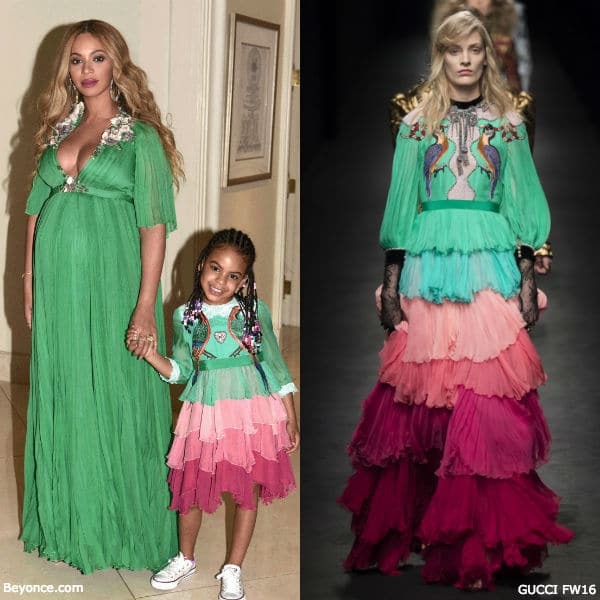 This Gucci Girls Mini-Me Broderie Anglaise Green Dress was inspired by the Gucci Women’s Resort 2017 Collection featured on the runway at Milan Fashion Week. 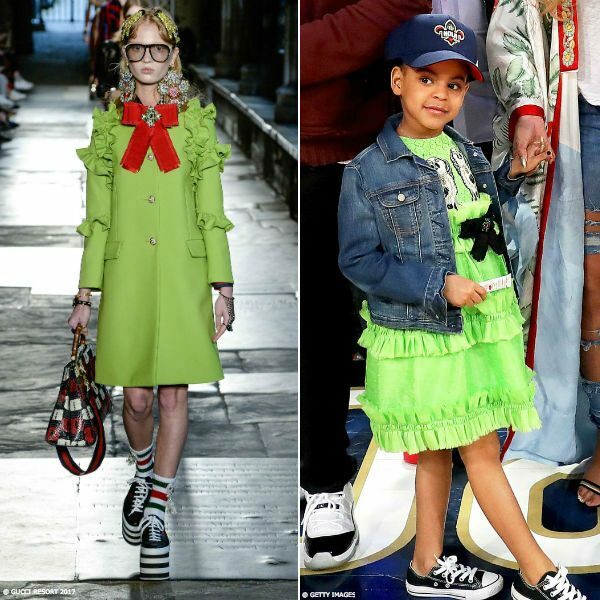 Love the way both Gucci looks feature bright green ruffled, frayed fabric, grosgrain bows with sparkling gem flowers, and super cool black lace up sneakers.